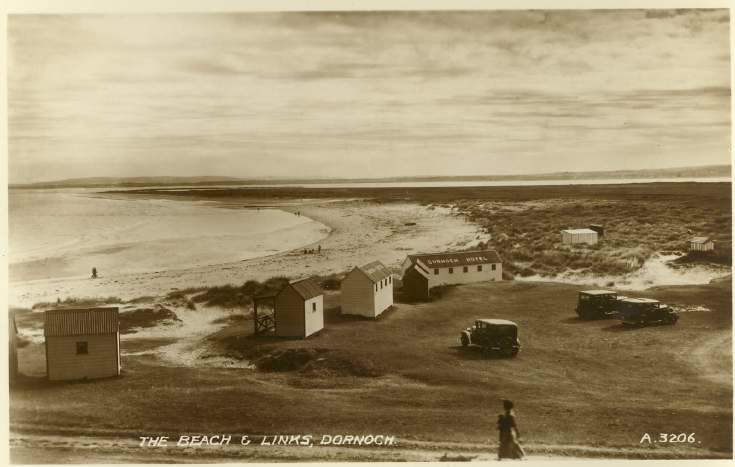 Monochrome postcard from the Furness Collection of Dornoch Beach with an inscription at the foot 'The Beach & Links, Donroch' and reference number 'A3206'. The reverse has a date 0'03/08/37'. There are three cars in the beach car park, a lady walking in the foreground and four beach huts, one of which has 'Dornoch Hotel' in white on its roof.